Opera by Wolfgang Amadeus Mozart. 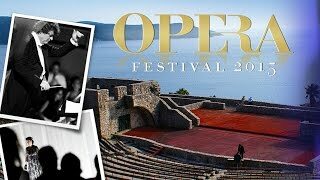 Presented by Operosa at the fortress of Kanli Kula, Herceg Novi, Montenegro. A single performance was given on 22 August 2015. Kanli Kula dates from the Ottoman period (16th Century) – It was a prison and its name translates from Turkish as ‘Bloody Tower’.